by Barnosky, Anthony D [author. ]; Hadly, Elizabeth Anne [author.]. Machine generated contents note: -- Introduction: The Journey -- 1 Past or Future? -- 2 People -- 3 Stuff -- 4 Storms -- 5 Hunger -- 6 Thirst -- 7 Toxins -- 8 Disease -- 9 War -- 10 End Game? -- Acknowledgements -- Index. Summary: "Tipping Point for Planet Earth explains why Earth is headed for a tipping point, a change so fast, dramatic, and unexpected that humanity will reel at the consequences. Midway through this century, there will be more than nine billion people on the planet. Already we are using most of the arable land that exists and overfishing the oceans. Water, too, is becoming scarce in many places. The services that humans depend upon--like a supply of clean water, food production, and protection from disease--are subject to dangerous threats as well. We can still keep humanity moving forward by ensuring that the negative changes that are accumulating do not outweigh the positive ones. Tipping Point for Planet Earth offers sensible solutions to our most pressing problems. The grand challenge of the 21st century is to change the endgame from one that looks like a train wreck, to one that sees the train carrying us all into a bright future"-- Provided by publisher. So what happens when vast population growth endangers the world's food supplies? Or our water? Our energy needs, climate, or environment? Or the planet's biodiversity? What happens if some or all of these become critical at once? Just what is our future? 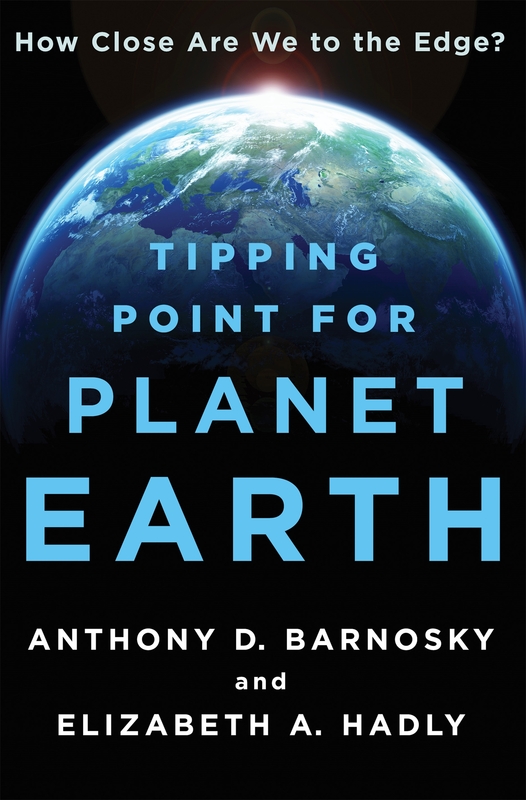 In Tipping Point for Planet Earth , world-renowned scientists Anthony Barnosky and Elizabeth Hadly explain the growing threats to humanity as the planet edges toward resource wars for remaining space, food, oil, and water. And as they show, these wars are not the nightmares of a dystopian future, but are already happening today. Finally, they ask: at what point will inaction lead to the break-up of the intricate workings of the global society? "Tipping Point for Planet Earth explains why Earth is headed for a tipping point, a change so fast, dramatic, and unexpected that humanity will reel at the consequences. Midway through this century, there will be more than nine billion people on the planet. Already we are using most of the arable land that exists and overfishing the oceans. Water, too, is becoming scarce in many places. The services that humans depend upon--like a supply of clean water, food production, and protection from disease--are subject to dangerous threats as well. We can still keep humanity moving forward by ensuring that the negative changes that are accumulating do not outweigh the positive ones. Tipping Point for Planet Earth offers sensible solutions to our most pressing problems. The grand challenge of the 21st century is to change the endgame from one that looks like a train wreck, to one that sees the train carrying us all into a bright future"-- Provided by publisher. The work of married professors Barnosky (integrative biology, Univ. of California Berkeley) and Hadly (biology & geological & environmental sciences, Stanford Univ.) has received attention in the scientific world and the State of California, where they collaborated with NASA's Ames Research Center on a consensus report on the ecological future of planet Earth that was presented to Gov. Jerry Brown. Their work is pulled together in this volume, in which they cover topics including population growth, food production, and climate change. They conclude that we have not yet reached the tipping point of no return but are teetering close to the edge and need to act now. The material will be easily followed by readers with little subject background and leave them wanting more. This particular volume is a reprint of the authors' End Game, originally published in 2015 in Great Britain. VERDICT This title is highly recommended for readers interested in environmental issues, particularly climate change, environmental justice, and why there is a need to enact change in social policy.-Eric D. Albright, Tufts Univ. Lib., Boston © Copyright 2016. Library Journals LLC, a wholly owned subsidiary of Media Source, Inc. No redistribution permitted.